I have watched all episodes of the documentary Afflicted on Netflix. My mind is reeling and disturbed. I am hoping that by writing this blog I can begin to piece together my thoughts which to this point are rambling and disjointed. I have heard from one reader who has said there is a group who are writing to ask Netflix to remove it. At this point I am neither for nor against this strategy. For those of you who have not seen the documentary there are seven people portrayed with four alleged conditions: Multiple Chemical Sensitivities(MCS), in one case predominately mold, Chronic Fatigue Syndrome (CFS, otherwise known as myalic encephalomyelitis, ME), electrical sensitivity and Chronic Lyme Disease. 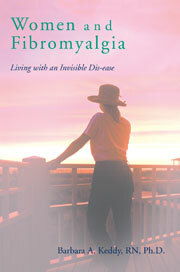 The term fibromyalgia has not been mentioned but the symptoms and life experiences are somewhat the same for many people. This entry was posted in amygdala, documentary Afflicted, Dr. Blasey Ford, fear, Fibromyalgia, hippocampus on September 30, 2018 by Barbara Keddy.